This is an oval Lady Borden Ice Cream porcelain sign. This particular Lady Borden Ice Cream sign is red with beige print. 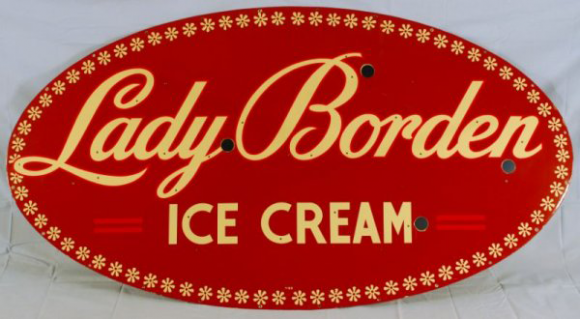 It reads, “Lady Borden Ice Cream” and features beige decorative flower border.